The Alcatel Ideal is a high-spec smartphone for a remarkably low price. 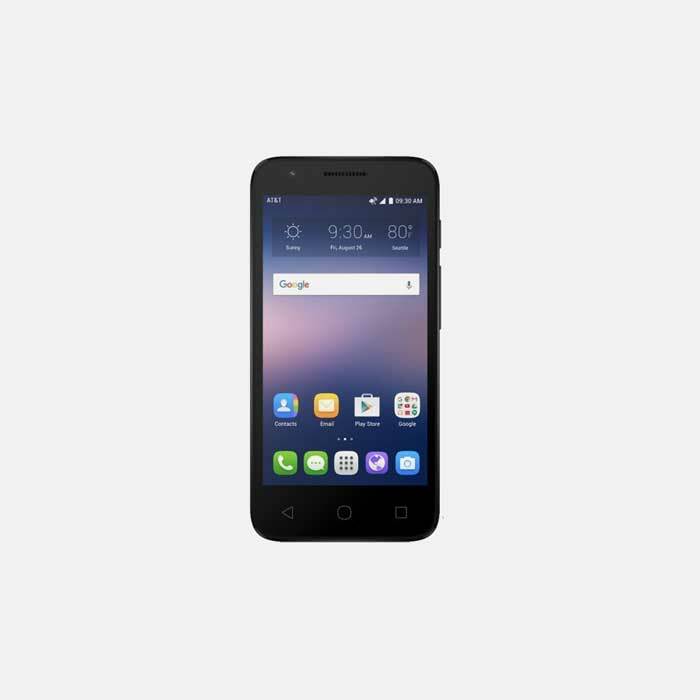 With hardware components to beat anything else in its class, the Alcatel Ideal is a great way to get started in the world of owning a smartphone. Covered by our amazing 14 Day Returns Policy the Alcatel Ideal achieved a Mr Aberthon ranking of 9.4/10. When we’re so used to the big names of the cell phone world being in front of us every day, it’s easy to forget the likes of Alcatel. Once a giant of the telecoms industry, the company’s profile has diminished somewhat recently. The Alcatel Mobile brand, though, is currently owned by Nokia. Even given Nokia’s own troubles, from which they seem to now be recovering very well, the pedigree is impressive. Alcatel have made a big impact by producing high-quality smartphones at low prices, and the Ideal is no exception. Although it would be a push to try and compare the Ideal to the flagship models of the bigger makers like Apple or Samsung, it stands up really well against most phones below the very top tier. Although there’s no great innovation going on with the outer case, don’t let that fool you. Under the hood is a lot of great hardware. From the zippy, quad-core processor to the battery offering 6mhrs talk time or over a full week’s standby, there’s plenty to satisfy even the most demanding user. 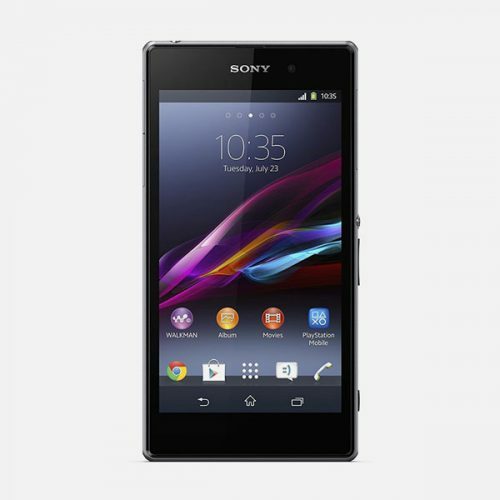 The 4.5″ display has resolution of 480 x 854px, which puts it somewhere between standard and high definition. The quality, though, belies the number of pixels. Sharp and bright, with good color and no sense of lag or slowdown when under pressure. Quad-band 4G gives you lightning fast mobile and, if you have a Wi-Fi connection, you’ll get 802.11 b/g/n. Enough to outpace any streaming you need to do. Bluetooth means quick and easy connections to a huge range of accessories, and A-GPS offers the best location services or navigation accuracy. A light sensor allows automatic dimming of the screen when needed. This also helps to preserve the battery. The rear camera is 5.04 MP, and the front 1.92 MP. Video recording is easy, and the rear camera has flash for darker situations. The quality from the rear camera, in particular is excellent. Sharp and proving good color representation, the images are easily good enough warrant long-term storage. Although lower resolution at 1.92MP, this is also plenty for those selfies you will be taking in all sorts of situation. Smartphones at this price tend to have internal components which are often a generation behind the more expensive models. Because of this, some more demanding apps and games can take their toll. With the Alcatel Ideal, though, there’s no discernible slow down, lag or stuttering when watching even the latest movies or playing the latest games. The screen is very responsive, and the entire phone feels well built and solid. All the relevant buttons are also very responsive, and things happen quickly when needed. The Alcatel Ideal also looks like it belongs. There’s nothing cheap or nasty about the hardware or software. It runs Android, the most popular mobile operating system in the world, so there’s nothing a smartphone which costs 10 or 15 times as much can do, that the Ideal can’t. The Alcatel Ideal is the perfect introduction to the world of smartphones. 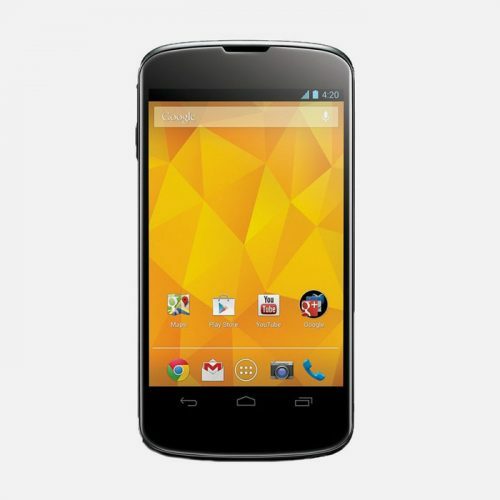 It offers the full experience of a smartphone, with little of the usual costs associated with it. It’s also a great option for parents who want kids to have a phone but don’t like the idea of spending hundreds of dollars. Odd though it sounds, the Ideal is actually inexpensive enough to almost be seen as disposable. It’s too good a phone for that, of course, but you could buy a handful and still be in pocket over a single phone from some other manufacturers. Even if it was only half as good as it actually is, the Alcatel Ideal would be the perfect choice.